Millions show their patriotism everyday by working hard to support their families, donating to charities in their communities and teaching their children right from wrong. This mom’s willingness to grant her best friend’s dying wish, by taking in her 6 children, is an example of American Values at its very best. Because Families Matter. Stephanie Culley says it was her “purpose in life” to grant her best friend Beth Laitkep’s dying wish to look after her six children. When Beth died in May after a long battle with breast cancer, Stephanie, already a mother of three, became a mother of nine. “She asked me [to look after her kids] and I said, ‘I’ll never be able to replace you, but I’ll love them like they’re my own,’ ” Stephanie, 39, tells PEOPLE. And so Beth’s children – Will, 16, Selena, 14, Jaxson, 12, Dallas, 10, Lily, 5, and Ace, 2 – officially joined the Culley clan on July 19 when a judge granted custody to Stephanie and her husband Donnie. “This is what my life was supposed to be,” says Stephanie. “Everything we’ve gone through has led us to having this family,” Donnie tells PEOPLE. Stephanie had known Beth Laitkep for most of her life – the women went to the same Halifax County, Virginia, high school, worked at a local WalMart together and even went to the same prom. So when Beth, who was in remission from breast cancer treatments, was told she had leptomeningeal carcinomatosis – a complication in which the disease spreads throughout the body – on April 13, she turned to Stephanie for support. Beth, whose boyfriend broke up with her when she was diagnosed, relied on Stephanie to take her to doctor’s appointment and babysit her kids. The best friends were even granted joint custody while Beth was still alive. 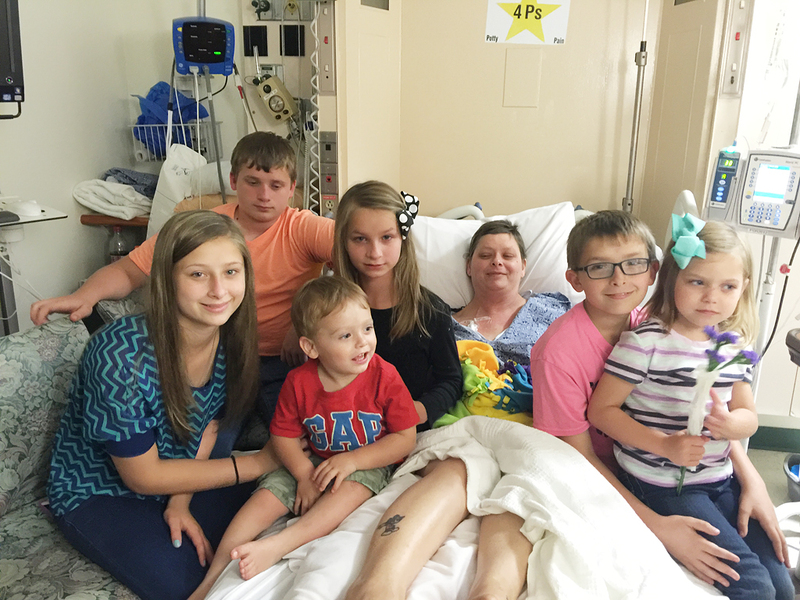 Before Beth died on May 19, Stephanie said she had “no hesitation” in looking after her six children. None of Beth’s five siblings had room to take in all six children, but Stephanie and Donnie, who work as contractors, happened to have a 10-bedroom home. “God knew we were going to end up having these kids some day and put us through the motions to make it happen,” says Donnie. “We got closer and closer with Stephanie’s kids after my mom passed away, and some of us were already close friends!” Selena tells PEOPLE of her new siblings. The tight-knit family has created chore charts, babysitting schedules and lunch-making assembly lines – it’s “hectic,” but they wouldn’t have it any other way.